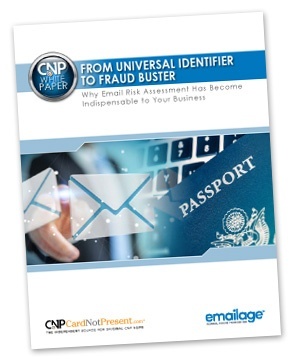 Why does a former hacker and card-not-present fraud pioneer think email risk assessment could be the most important weapon in your antifraud arsenal? Because it's an identifying piece of information that accompanies every online transaction. While fraudsters may try to adapt, to cash out they must ultimately steal or create an email address. So, how can you put the email address to use to prevent fraud and approve more transactions? Get this white paper to find out!